A pulley is a device that can increase the magnitude of an effort force. 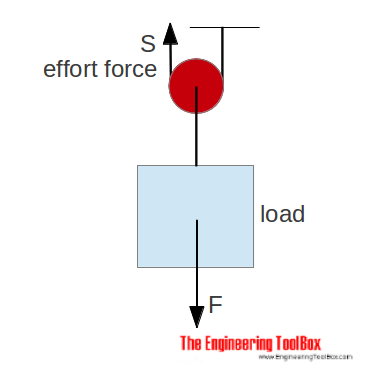 With no pulley - the effort force is similar to the load - in opposite direction. 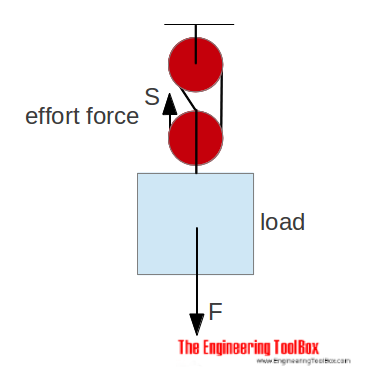 With a single fixed pulley the effort force is similar (or more due to efficiency loss) to the load. The advantage with the single fixed pulley is that the direction of force is changed - it is possible to pull down instead of lifting up. 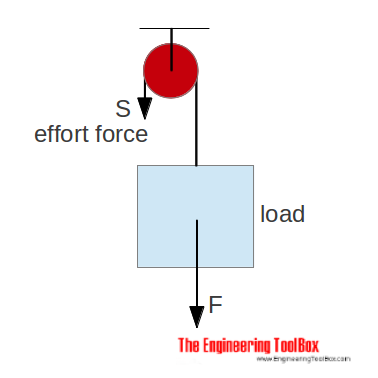 With a single moveable pulley the effort force is half (or more due to efficiency loss) of the load. 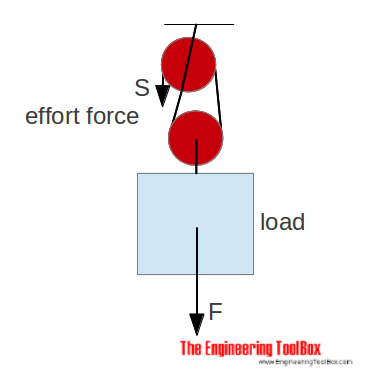 With a combined moveable pulley as above - the effort force is half (or more due to efficiency loss) of the load. 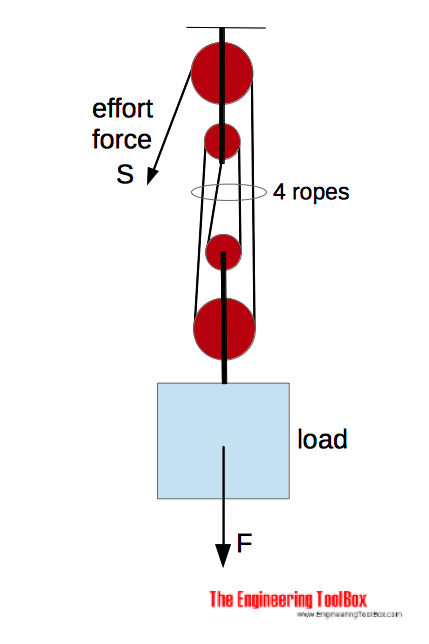 With two pulleys and the ropes as above - the effort force is 1/3 (or more due to efficiency) of the load. 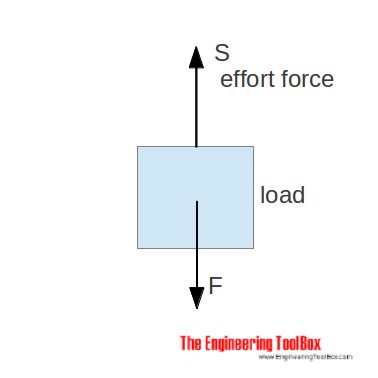 The calculator below can be used to calculate effort force in block, tackle or pulley construction. The calculator can be used for metric and imperial units as long as the use of units are consistent. Note that kg is the SI units for mass - more about mass and weight! Engineering ToolBox, (2007). Pulleys. [online] Available at: https://www.engineeringtoolbox.com/pulleys-d_1297.html [Accessed Day Mo. Year].